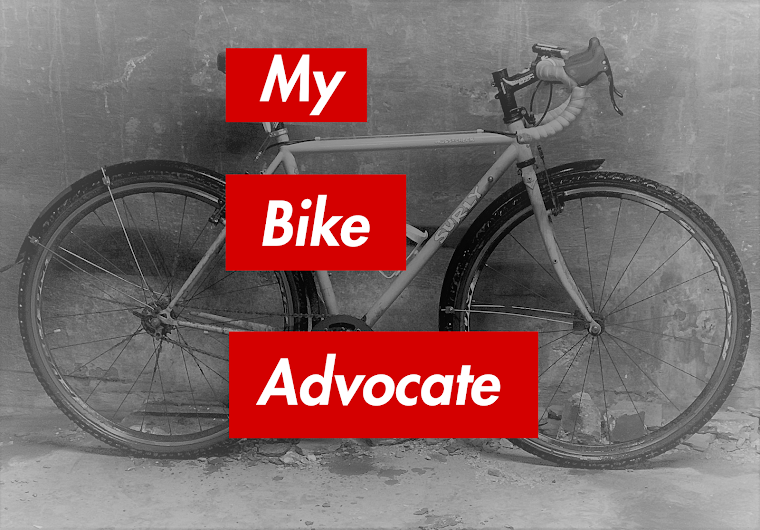 The media fury has died down, but the affects of being attacked by persons in an SUV while biking in the Logan Square neighborhood linger for Chicago cyclist, Jana Kinsman. The 27 year old owner of Bike A Bee was the victim of what police are calling an aggravated battery as she rode her bike north, near the intersection of North Kimball Avenue and West Wrightwood Avenue , just after midnight on August 20th. and Milwaukee shortly after the attack. The bottom photograph is from video taken by a security camera attached to the outside of a pre-school at the intersection where the attack occurred. Jana was pulled to the ground by a passenger in the rear of the truck who had grabbed her messenger bag as she rode north on the right side of Kimball. The top photograph is a still from video shot by the red light camera several block north. 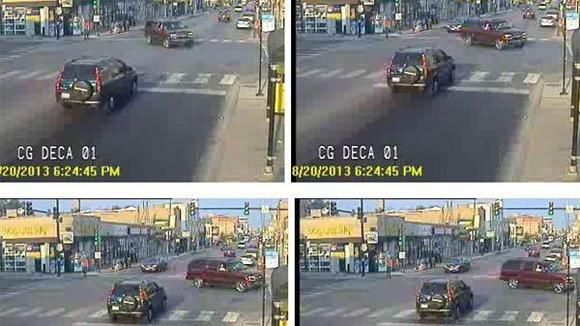 In it, the vehicle is seen making a right turn onto either West Diversey Avenue or North Milwaukee Avenue. Because it did not run the red light at that intersection, the red light camera did not photograph the vehicle's license plate. 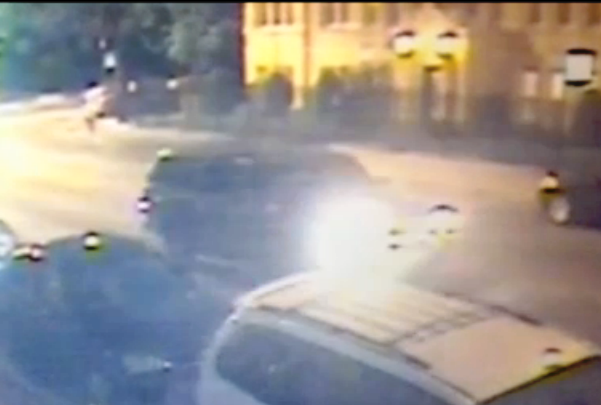 Jana has confirmed that the vehicle shown in both screen captures above are the vehicle involved in the attack. Chicago police seem to be taking this matter seriously. They are treating this matter as an aggravated battery rather than a simple hit and run. As a result, the CPD has assigned two detectives to investigate the matter. Jana and I met with them on August 23rd. 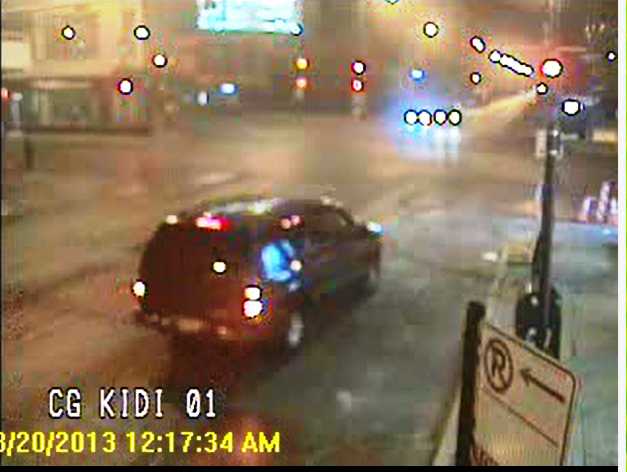 We looked at the red light camera footage together. After Jana identified the vehicle in the video, the detectives told us they would obtain additional footage from other cameras, essentially following the vehicle through the city to the driver's eventual destination. The hope is that once the vehicle is found, we will have the driver. A few days after the incident, we thought we had identified and located the driver. A friend of Jana's photographed a maroon Tahoe parked near the site. We ran the plates and obtained the name and address of the vehicle's owner. Police questioned the man and ruled him out as a suspect. Also, his vehicle had a roof rack, a feature which appears to be absent on the vehicle involved. Photo of the vehicle involved in the Rogers Park incident. While we would appreciate any tips that can be offered by the general public, please bear in mind that the persons responsible for the attack on Jana may be dangerous. Do not put yourself at risk. If you have a tip, we can be reached at 312.629.1901 or via email at brendan@fklawillinois.com.